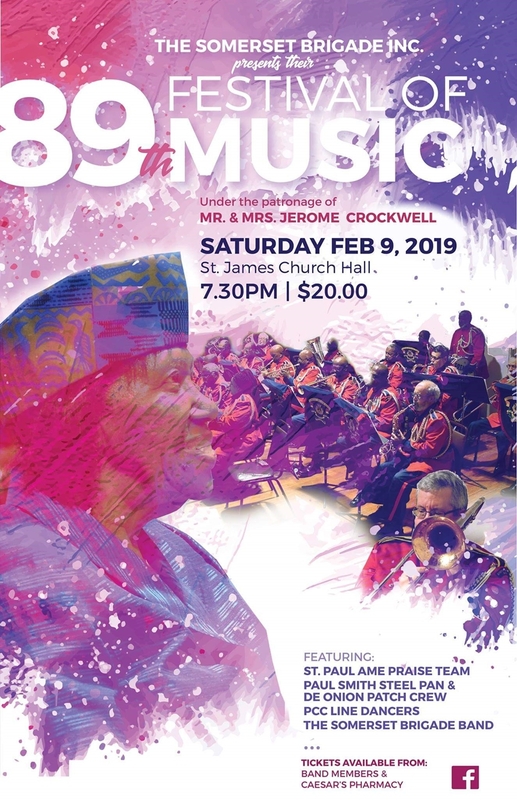 The Somerset Brigade Band is getting set to host an event titled Festival of Music on February 9 at St. James Church Hall beginning at 7.30pm. Assistant Secretary of the Band Graham Maule explained, “The interesting story about our chief patron is that Mr. Crockwell is 90 years old, and as far as I know, he is the only surviving band member who was born before the band was founded in 1930. I have to advise that Mr. Headley Edwards is a former trumpeter in the Somerset Brigade Band who is now 93 years young, and I am now reliably informed that he also belongs to the exclusive club of performers in the Band who were born prior to the establishment of the Band in 1930. Many thanks for this information, Edwards family. In addition, Mrs. Crockwell’s support of the Band in our Auxiliary should also acknowledge that she is also a former President of our Auxiliary. I look forward to seeing as many people as possible at the concert on February 9th!